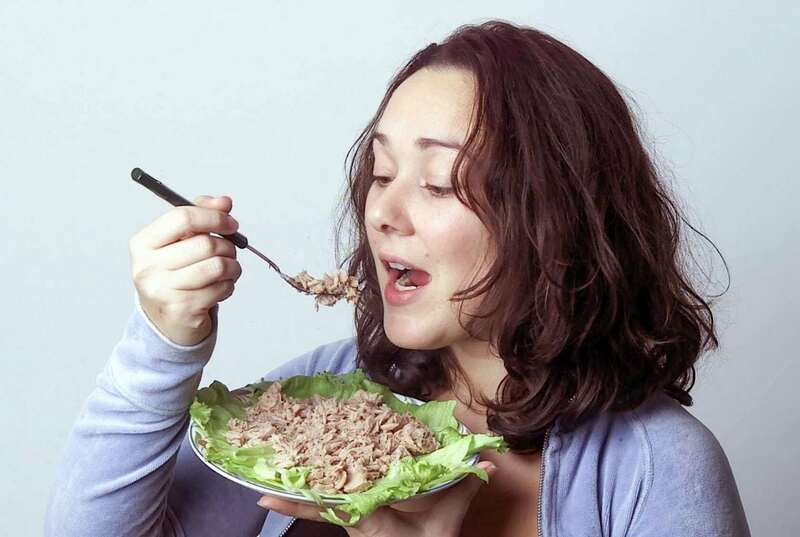 Tinned tuna contains up to 100 times more zinc than is safe which could wreck people’s guts, according to new research. The mineral is commonly used to line the inside of cans because of its anti-microbial qualities. But it also leaches into food lodging in people’s digestive system altering the body’s ability to absorb nutrients. And this potentially endangering health, warn scientists. In the first study of its kind the US team looked at cans of sweetcorn, tuna, asparagus and chicken – and found some had 100 times the recommended dietary allowance. They specifically chose these foods as they are naturally low in zinc and normally packaged using the mineral so making it easier to quantify how much was absorbed. 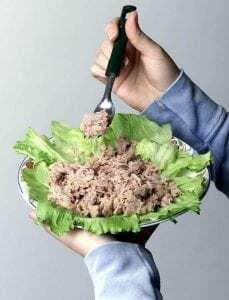 For example they found tuna touching the inside of the can was the most contaminated with over 5,000 ppm but food in the middle had nearly the same amount. The juices at the bottom of the can had roughly a third of the zinc contamination as the food touching the can. Tinned chicken was the second most contaminated, followed by asparagus with roughly two third the levels of tuna and sweetcorn a third. A lab model of the human small intestine, composed of two types of cells known as Caco-2 and HT29-MTX, also found the tiny fragments of zinc, or nanoparticles, caused inflammation. This made it more permeable, meaning harmful chemicals that ought to be excreted could get into the bloodstream. Zinc is second only to iron as the most abundantly found mineral in humans and is good for the skin, hair, teeth, nails, immune system – and even our libidos. The NHS said most of the recommended daily zinc dosage can be got from a normal diet, with rich sources including meat, shellfish, dairy such as cheese, bread and cereals. A man aged 19 to 64 needs 9.5mg a day and women 7mg. The researchers discovered these tiny fragments, or nanoparticles, tend to settle onto the cells in the gastro-intestinal tract and alter it. This system of organs takes in food, digesting it to extract and absorb energy and nutrients, expelling the remainder as waste. She said zinc is present in the lining of certain canned goods for its antimicrobial properties and to prevent staining of sulfur producing foods such as cruciferous vegetables. Her researchers used a scanning technique called mass spectrometry which measures the amount of thousands of chemicals every second to estimate how much might be transferred to the food. They then looked at the effect the particles had on the digestive tract. Prof Mahler: “People have looked at the effects of nanoparticles on intestinal cells before. “But they tend to work with really high doses and look for obvious toxicity, like cell death. She explained: “They tend to settle onto the cells representing the gastrointestinal tract and cause remodeling or loss of the microvilli, which are tiny projections on the surface of the intestinal absorptive cells that help to increase the surface area available for absorption. “This loss of surface area tends to result in a decrease in nutrient absorption. Some of the nanoparticles also cause pro inflammatory signalling at high doses, and this can increase the permeability of the intestinal model. Prof Mahler also said the transport of iron and glucose fell by three quarters and almost a third, respectively, follwing exposure to the zinc. Prof Mahler pointed out her findings published in Food & Function are based on effects demonstrated during ‘in vitro’ experiments in cells grown in a laboratory. She said she is unsure what the long term health implications might be. But zinc present in food packaging would put consumers at risk of ingestion of the nano particles. There is little information on the amount of zinc in tins of food and the effects on the intestines from exposure. Prof Mahler said: “It is difficult to say what the long-term effects of nanoparticle ingestion are on human health, especially based on results from a cell culture model. The researchers have now taken the next step by using chickens to learn how an animal model responds to nanoparticle ingestion. Last year research found canned foods still contain the ‘gender bending’ chemical BPA (Bisphenol-A) which has been linked to cancer, birth defects, diabetes, obesity, male infertility and endometriosis. It was found in 40 per cent of tins although the chemical has been banned from baby products and plastic water bottles because of its toxins.